Brenda Kay Ledford received the 2009 Paul Green Multimedia Award for her poetry book, SACRED FIRE, from North Carolina Society of Historians at the History Place in Morehead City, NC, during their award’s ceremony in October. This is the fourth time Ledford has received the prestigious Paul Green Award. She got the 2005 award for her poetry book, PATCHWORK MEMORIES; the 2006 award for collecting oral history on Velma Beam Moore; and in 2007, for SHEW BIRD MOUNTAIN. A native of Clay County, NC, Ledford was an honor graduate of Hayesville High School. She earned her Master of Arts in Education from Western Carolina University and studied Journalism at the University of Tennessee. She’s former Creative Writing Editor of “Tri-County Communicator,” at Tri-County Community College. Ledford is a member of North Carolina Writers’ Network, North Carolina Poetry Society, Georgia Poetry Society, Byron Herbert Reece Society, North Carolina Storytelling Guild, and listed with “A Directory of American Poets and Fiction Writers.” She’s appeared on “A Common Cup,” over Windstream Communication channel 4 television and read her poetry. Her work has appeared in “Our State,” “Chicken Soup for the Soul,” “A Journal of Kentucky Studies,” “Appalachian Heritage,” and many other journals. Finishing Line Press published her poetry books, SHEW BIRD MOUNTAIN and SACRED FIRE. 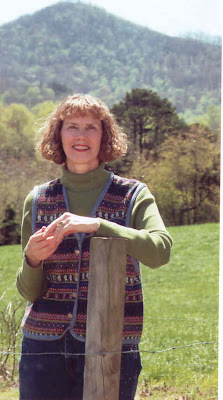 For details about the Paul Green Award, go to: http://www.ncsocietyofhistorians.org/; http://www.brendakayledford.com/; http://blueridgepoet.blogspot.com.